Happy 3rd day of 2015! Can you believe that we are actually in January? Does anyone feel like Thanksgiving was yesterday? Okay, good. I usually don’t make resolutions, but I use the start of a new year as a time to reset and to start getting back into my regular eating routine (because eating a gingerbread cookie after each meal is starting to become a little excessive). Soup is a great way to get back into the healthy eating swing, packing vitamins and minerals in a warm, comforting package. I make many different types of soup (Greek Avgolemono, lentil, split pea), but nothing seemed festive enough for a celebratory dinner for the first soup supper of the year. Until I remembered one of my favorite soups from a local supermarket – super orange, sweet/spicy carrot-ginger soup. Confession: I’m a carrot junkie. Seriously. My mom stopped buying carrots in August because I was eating one pound of carrots every day or so and was starting to turn orange… yes, literally orange (my hands looked like they belonged on an Oompa Loompa). I have since de-oranged and the carrot has returned to our household. Life is good! …with onion and garlic sautéed in a little olive oil. Then I tossed in some parsnips. 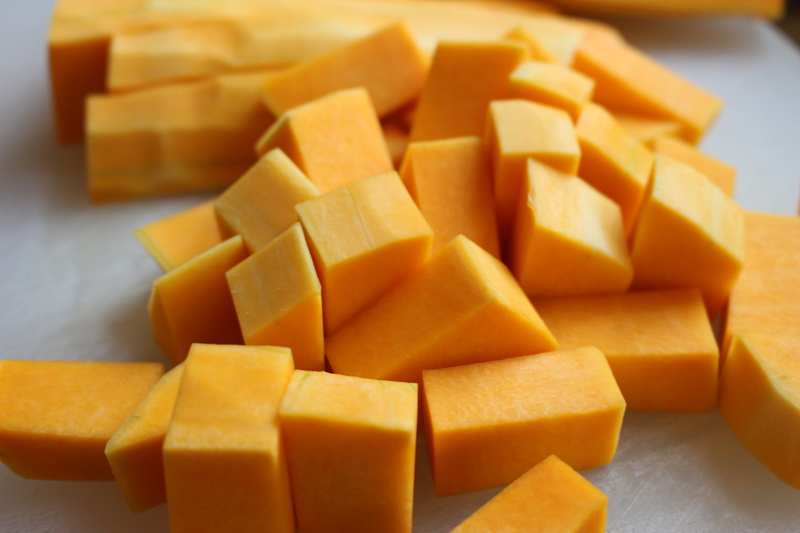 Which look a little like carrots and add a nice body and sweetness to the soup. And then come the carrots. I used baby carrots but regular carrots work too! Salt, pepper, and some nutmeg. You can’t taste it, but it adds a little somethin’, somethin’. Pour in some low-sodium chicken broth. And grate in the second star ingredient – fresh ginger. Fresh is the only way to go here, kids. My mom buys a big chunk of ginger, peels it, cuts it up into 1-2” pieces, and freezes it. Then you always have fresh ginger to make carrot-ginger soup! Then you bring the soup up to a boil and let it cook for 10-15 minutes until the carrots and parsnips become tender. 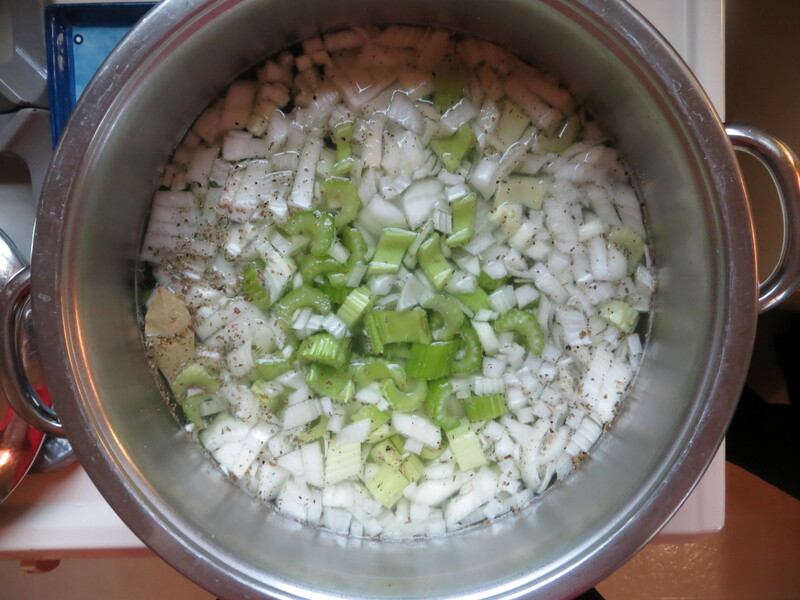 Now comes the slightly dangerous part – the pureeing of the soup. If you have an immersion blender, I am super jealous. You can puree the soup right in the pot and be done with it. If you don’t, grab your blender or your food processor. Working in small batches (either filling only half the blender or filling to only the max liquid line of a food processor), puree the soup until smooth. I transferred the soup to a big bowl so that I could reuse my soup pot – it made it a little easier and I had slightly less clean-up! Now, this is the slight naughty part of this soup. I add a small splash of heavy cream for a little richness, but you can leave it out if you want. Then dish it up and dig in! A perfect start to 2015. 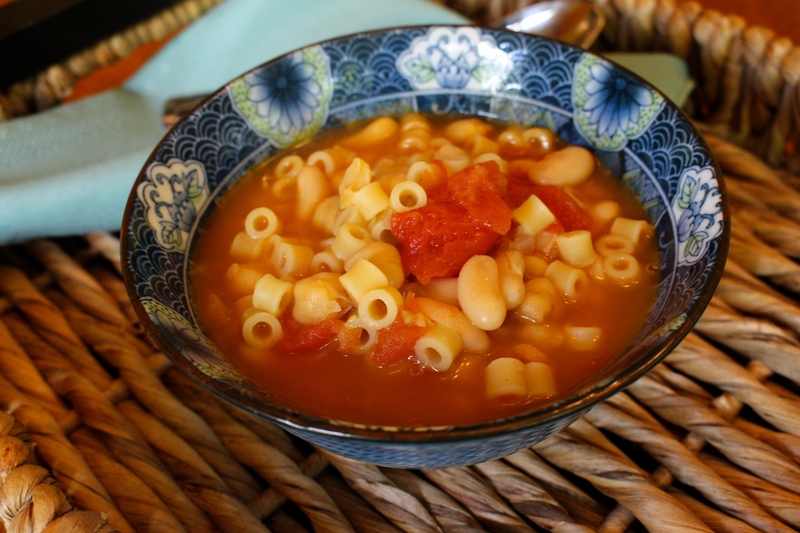 Hope you all enjoy this easy (and healthy) soup recipe. 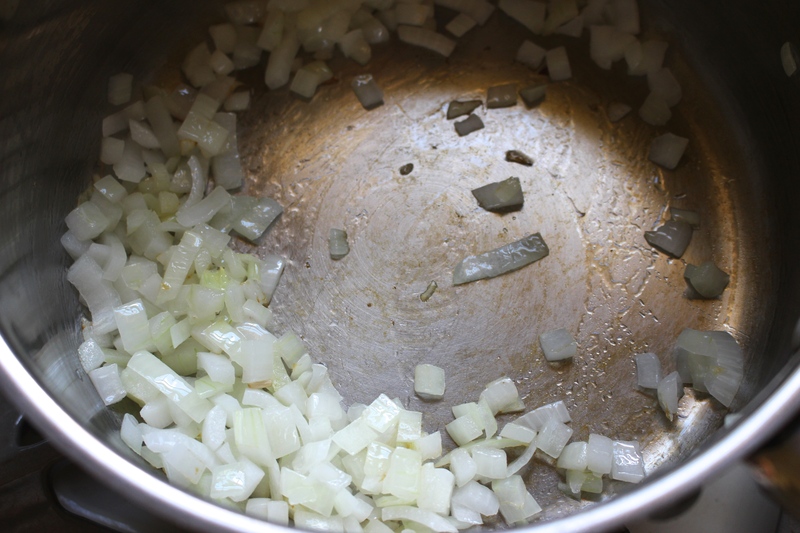 In a large soup pot over medium heat, add in olive oil, onion, and garlic. 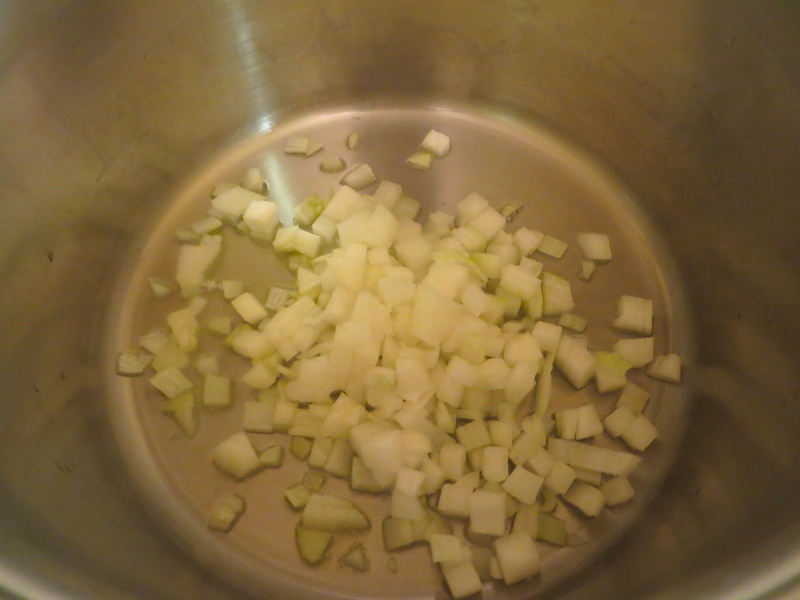 Cook until onions become tender and translucent. Add in parsnips and carrots, salt, pepper, and nutmeg and cook until the vegetables become slightly tender, about 3 minutes. Pour in chicken stock, add the ginger, raise heat to medium-high and bring soup to a boil. When the soup reaches a boil, partially cover, and cook for 10-15 minutes until the vegetables become tender. Place the pureed soup back onto medium-low heat until warmed though. If you desire, stir in heavy cream. Serve alongside your favorite sliced bread or crackers.